The more complex life becomes, the more people crave simplicity - in their work, relationships, health, finances, and leisure time. For all of those who are overpowered, overextended, overworked, and overcome by the go-go lifestyle of the last decade, Simplify Your Life provides a user's manual for learning how to unwind and improve the quality of one's life. This is kind of a "best of" compilation, supposedly. While it is hard to beat Fred Stella's most excellent voice, it is kind of repetitive and doesn't really go anywhere. I'm not sure who the target audience is for Babauta, but my guess this is for executive types wearing suits and ties. Many of the suggestions in the book, I already do, so it wasn't a huge help. There were a couple of things to make you think, but after hearing how to organize an email inbox for the 3rd or 4th time, I gave up on the book. My attraction to the book was the name (and the fair price). 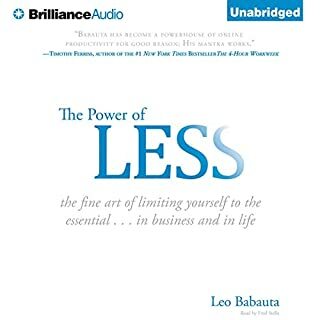 As other's have pointed out, Babauta's works have little to do with Zen. It is more of how to simplify, organize and manage time better. 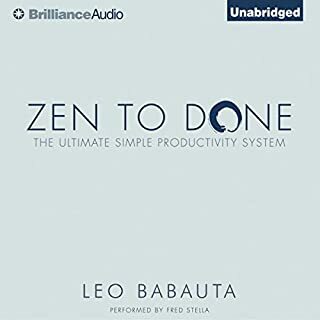 I'm going to throw out a better book, which like Babauta and Zen, has really nothing to do with Buddhism: Just One Thing: Developing a Buddha Brain One Simple Practice at a Time. It is also read by Fred Stella, and offers a lot more practical insights than how to organize an email inbox. 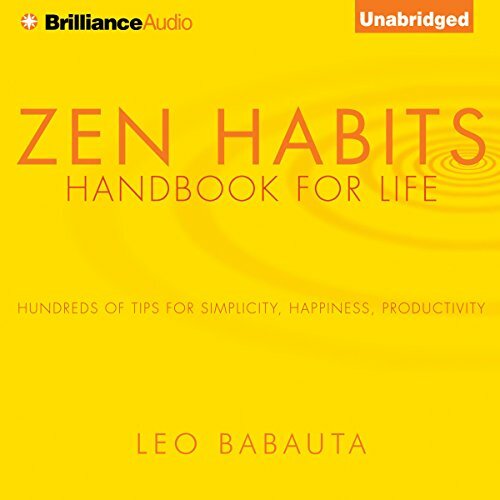 Where does Zen Habits rank among all the audiobooks you’ve listened to so far? Zen Habits had a load of tips and motivation to help improve one's mindset. From cleaning to increasing the Warm Fuzzy quotient of the world, there is enough here to pull you out of your doldrums. Though there seems to be alot of information that is continously repeated, in slightly different contexts, The framing of a published and repackaged series of blog posts adjusts our orientation so this all makes sence. The narration, though calm and soothing, orften seemed stilted. The narrator was far from conversational, often sounding like he was sight reading the matterial for the first time. Though the writing style of the author, often uses excessive 'and''s and 'or''s, the stilted nature of its delivery, made me wonder if the narrator was a cylon. I adore the content of the audiobook. I’ve followed the blog for years. I really wish though the Leo would’ve picked a different narrator. I appreciate the attempt of Fred Stella, but with his performance sounds like a robot. The book was interesting. The author added some humor which was completely lost due to the narration. Not recommended. A little boring. Maybe I will buy the actual book. This book offers very practical, helpful, insightful and accessible advice. A wonderful combination and a difficult one to achieve. Unfortunately, the design of a collection of essays fails when someone consumes them all at once. There is far too much redundancy and the repetition is beyond reinforcing, It becomes frustrating. It would be interesting to have a version of this book done where there is an effort to condense the advice, build on the words originally composed and include examples. Further, it might be interesting to do a new version of the book as a project where folks are followed as They implement the advice and there are stories of their efforts included. It is a bit boring but the tips are useful to make life a little simplier and use your time wisely. 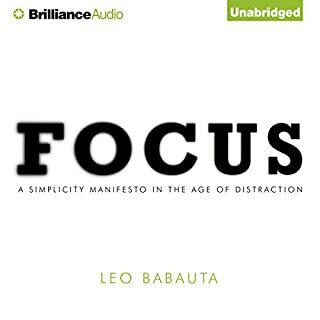 Great ideas, however, the audio book is read straight from the blog which makes it awkward to listen to. He sometimes even references other blog posts in the audio. The narrator is good but tends to over-enunciate words. Zen Habits was enlightening and inspiring, offering plenty of practical advice. i highly recommend it. 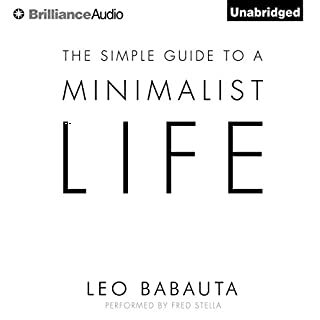 I love this book I've listened to it a lot but really think if you listen to just one habit and get it to a really good standard then this book becomes really priceless and you start seeing the world in a completely different way. I think everyone could learn something from this book! I've listened to all sorts on and around the subject and still learnt a lot! 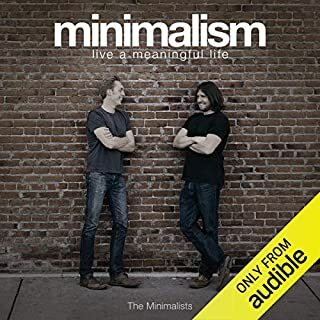 It's quite good to listen and is broken down into parts making it easy to digest, as this book require some pauses in order to reflect and assimilate with our own lives in order to figure out how to apply to our routine. 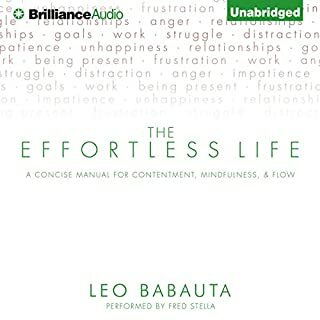 I didn't enjoy the narrator's tone for this book, which is a real shame as the book itself has great ideas for living well. The narrator sounded a bit robotic. Some helpful content. Some things were a bit repetitive. I had so many a-ha moment's. I can't wait to start using some of these ideas I'm my life.